Basseterre, St. Kitts, June 13, 2016 (SKNIS): The Ministry of International Trade, Industry, Commerce and Consumer Affairs, in collaboration with the European Union (EU) and CARIFORUM, embarked upon a training exercise on competition law and policy on June 13. Director of Trade/Research in the Ministry, Jasemin Weekes, stated that the ‘Level I Training in Competition Law and Policy’ is a strong indication of the Ministry’s efforts in ensuring sensitization on the relevance of competition law and policy to citizens and residents. 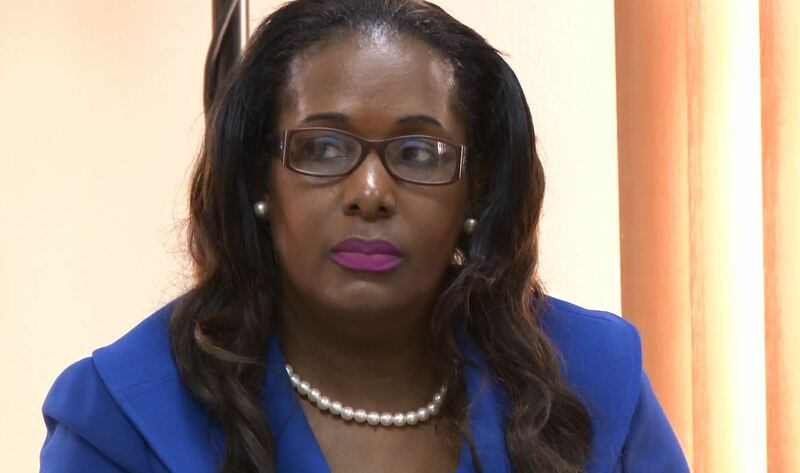 She said that it is critically important for persons to know what competition law is, where one can register complaints and learn about the institutional arrangements that are in place within the CARICOM and the EU in order to reduce and prevent any anticompetitive business conduct that might harm trade between the two regions. Mrs. Weekes indicated that the level one training programme is specifically designed to raise knowledge and awareness of competition law and policy and to build institutional capacity within St. Kitts and Nevis in the context of the implementation of the EPA. The day’s exercise focused on the main element of the emerging and evolving competition regimes in the CARIFORUM and the relationships between the various institutions and courts of the region where the implementation of these regimes are concerned. Mrs. Weekes said that the objective was to expose the participants to the basics of competition law. “With such exposure, [the participants] should be able to walk away with a better understanding of the role of competition law enforcement in monitoring and reporting any business conduct that is anticompetitive and might harm consumer welfare,” said the Director. Mrs. Weekes explained that the ministry has a mandate to promote, maintain and encourage fair competition, and to prohibit the prevention, restriction or distortion of competition. Likewise, the CARICOM Competition Commission (CCC) has a similar mandate in chapter eight of the revised Treaty of Chaguaramas for competition within the CSME. In March 2010, the Ministry partnered with the CARICOM Single Market and Economy (CSME) Unit in hosting a one day seminar, which focused on the promotion of competition to build competitive markets with the CSME. A similar workshop was held in May in the Federation again in collaboration with the CARICOM secretariat in an attempt to strengthen the CSME regulatory and market regimes in the area of competition law and policy. The training forms part of the 10th European Development Fund Projects for capacity building within CARIFORUM.